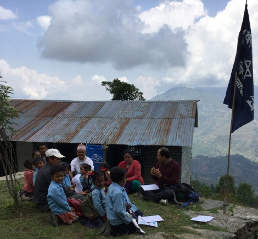 Binod Sharma's research area is reproductive medicine, with his doctoral thesis investigating pathways to improving maternal mortality in rural Nepal. The purpose of my Project Grant was to help achieve my research goal of investigating whether the involvement of people within a community in the process of creating awareness through singing health messages can improve the level of maternal health care as well as knowledge of the need for maternal health care among community members. With the help of the Jennie Thomas project Grant, I was able to institute the essential activities for my project. For example, training interviewers, baseline data collection, organisation and management of the health song competition and singing intervention in the leadership of community people. 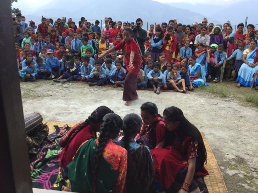 The Jennie Thomas Project Grant enabled me to undertake the intervention research project rural villages of Nepal. The methodology used to create awareness on safer pregnancy and childbirth among community people has an enormous effect. 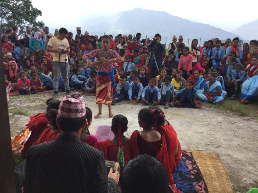 In the process of create awareness the entire community was involved in developing health songs. We organized song competition among the groups. There were twenty six groups participating in the health song competition. The best songs developed by the community people (students, teachers, mothers’ group members, volunteers and adolescents) will be sung in the villages in house to house environment. The group of teachers’ expert in traditional singing will be mobilised to create the awareness through singing health songs in the community. 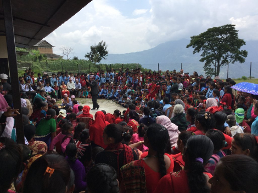 The program enabled all the participating sub groups of the people to engage in development of the health songs with the key messages targeted to the community people. This process itself has created a deep sense of understanding and awareness amongst the groups on the theme. The mobilisation of local male teachers in singing health message in traditional lyrics will have an extraordinary effect in the community. The entire people will not only benefit from the health messages but also be part of health advocacy in the future. The informed community mass will contribute to ensure safer pregnancy and childbirth in the villages. 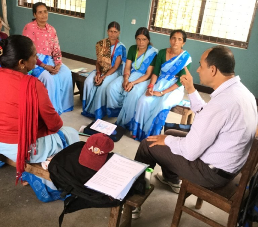 The risk of maternal death will be reduced remarkably as an outcome of the intervention and the adjoining village development committees and districts will be inspired and follow the lifesaving community-led interventions. Thank you so much Jennie, for all the resources and motivation to undertake such a timely project for mothers in rural Nepal. I am honoured to have been enabled to initiate such a fulfilling project. It is not acceptable that a mother has to sacrifice herself giving life. We are living in such an advanced era of medical advancement, and mothers are continuing to die at an unacceptable rate. I am so pleased that the Jennie Thomas Project Grant has enabled me to engage in creating the informed groups of people to help save mothers. If we cannot help mothers celebrate their pregnancy and enjoy the motherhood, it is a shame for such a supposedly civilised and technologically advanced world. I would like to dedicate my expertise for the benefit of rural people, mothers in particular. If I am enabled to give them a hope of life and security in their natural environment, empowering them for their benefit in a sustainable way, I would feel that my dreams come true. I believe an empowered mother can give not only the healthy baby but also a bright future for her family, community and society as well. 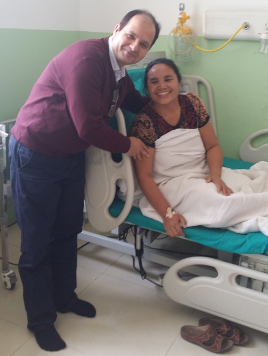 I am committed to making the difference to the lives of mothers in rural Nepal. My Ph.D. project is the key initiative towards my career plan. 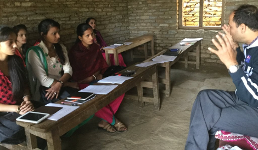 The Project Grant is a critical support in making the intervention research project a special happening in the villages and a timely sample intervention in rural Nepal.